IHG® Rewards Club - eBook - R.S.V.P. R.S.V.P. How a Detroit Girl Made Love's A List is an invitation. 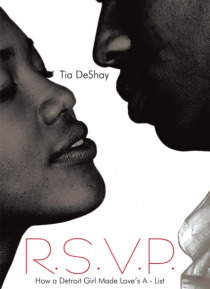 I invite my readers to attend the most anticipated event of the season: the love life of Tia DeShay. R.S.V.P. tells the story of my on again, off again affair with this thing called love. R.S.V.P. exposes me and puts me in an emotionally transparent space that I needed to occupy in order to heal. It is my hope that in my healing, yo… u discover your healing. In my words I want you to hear your voice. I want my poetry to inspire you and instill in you the confidence to love fearlessly and without regret. Decide today that when Love sends you an invitation, you will not mark the envelope, Return to Sender, but instead, you will ask yourself, What am I going to wear?